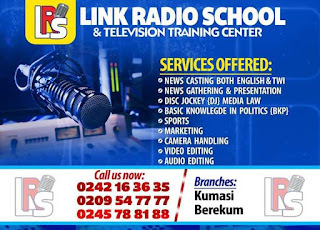 Astute radio broadcaster Kwadwo Dickson has confirmed news in the speculations in the media about his resignation from Despite Media after Eighteen years of service. 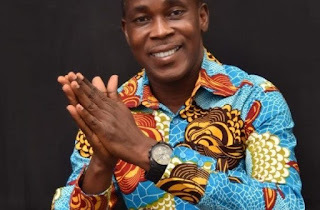 Before his resignation, "Efiewura" as popularly referred was a news caster at Peace FM and other Despite Media outfits such as Okay FM, Neat FM and UTV. In a video posted on his official face book page as monitored by fillascorner.com, Kwadwo Dickson was seen confirming to his fans about his exit from Despite Media. "It is true that I have resigned from Despite Media peacefully after eighteen (18) years of working with the company. Now is the time to move on to the next chapter"
"I sincerely thank the following people, Dr Osei Kwame Despite, the Chief Executive Officer, Mr Ernest Ofori Sarpong and Father Dickson. To my colleagues whom I met and those who also came and met me"
"You will only hear my commercials on peace FM but not as a worker. In the said video Kwadwo Dickson did not disclose his next destination in the media industry or quitting radio broadcasting, but there have been series of speculations that he is heading towards the newly ABN outfit Angel 102.7 in Accra. Kwadwo Dickson won the Best News caster in local language in Radio and Television Awards 2017.